Labuan Bajo will be the first port of call for most first-time visitors to Flores, whether arriving by boat or plane. While we want to love it, like many port towns in the world, it just isn’t very lovable. It’s a small but quickly growing place, with plenty of construction thanks to so many new hotels and restaurants going up, and plenty of dust to match. The area of most interest to travellers is the port and its immediate surrounds, where you’ll find all your boating needs, a wet market and plenty of travel agents, shops -- even a wine outlet -- and a growing number of chic cafes and restaurants. It’s really your one-stop-shop for all your travelling needs in Flores, so stock up here! Western-style food, toiletries and other modern conveniences all become rather thin on the ground after you head for the Flores interior or out to the islands. The road running from the port is one way and it is dead easy to flag a bemo or ojek, but most points are within easy walking distance. Bear in mind the bemos stop running at night, so if you’re staying at one of the edge of town places, you’ll need to get an ojek or taxi back to your hotel after dinner. The port is the jumping off point for Rinca and Komodo islands along with a handful of other islands in the Bay of Bajo such as Kanawa and Bidadari. Any diving or liveaboard operation with a presence in Komodo will have an office in Labuan Bajo, and there are plenty of dive operators to choose from. 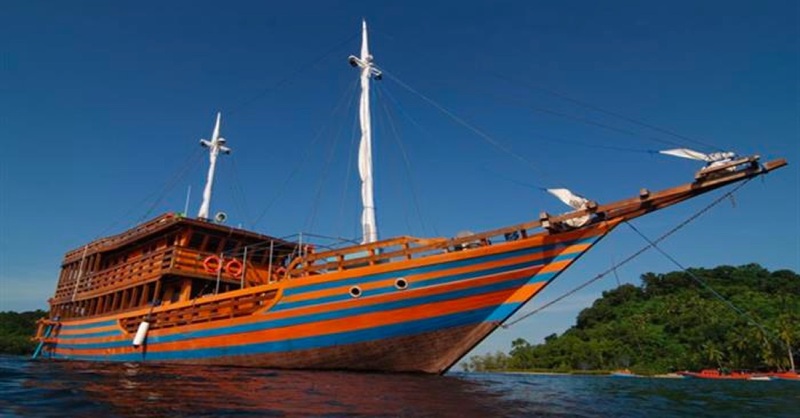 It also marks the completion (or starting) point of the popular Lombok-Sumbawa-Komodo-Flores boat trips. You’ll regularly see the bay with a good number of liveaboard boats at anchor, clearly illustrating the old adage that, "You get what you pay for!" when it comes to boats. The port hosts boats big and small and a new container terminal (which is sadly beginning to block the view from some of Labuan Bajo’s restaurants). Regardless of where you’re headed you’ll be told where to go to get aboard; if you’re going nowhere, take in the lovely late afternoon views from one of the elevated bars or restaurants on the slopes behind the port. Labuan Bajo was once known as a difficult place to find a room, but it now has a pretty decent range of accommodation, from a hostel firmly aimed at backpackers, through to moderately expensive resort-style lodgings -- and there are plenty more on the way. In high season, it’s probably still prudent to make a reservation in advance -- at least for your first night, but note many places do not have online presences, so you’ll need to give them a call. The standards overall are reasonable and quite competitively priced; while there are a few dumps, overall Labuan Bajo is home to the best accommodation on mainland Flores. The town has an exceptional selection of restaurants -- Italian is especially recommended, with long-running Made In Italy leading the charge, closely followed by Mediteranneo. Labuan Bajo enjoys a particular popularity with Italians and they are very well fed. Splurge. There’s other more typical tourist fare along with a good seafood barbecue night market by the small harbour and plenty of Indonesian standards on hand. Beer -- and wine -- is easily available and not unreasonably priced (at least, by Indonesian standards). Lastly, Labuan Bajo hosts a domestic airport, which is in a slow process of being upgraded to international. It’s also the western terminus of all transport along the Trans-Flores Highway (which runs from Maumere in the east through Ende, Bajawa (almost) and Ruteng on the way to Labuan Bajo). For those with time on their hands, Labuan Bajo makes for a convenient base to explore outlying areas such as Waecicu and the immediate islands and beaches. There are also waterfalls that can be reached by motorbike -- when you hire a bike it should come with a map, so ask if it doesn’t. The waterfront of Labuan Bajo is sort of capital l-shaped with a fish market worthy of an early morning browse in the centre. To the northern end, there are boats to the headland (for Waecicu) and Seraya Island, while the main port (to the south) runs boats to Kanawa, Rinca and Komodo. This isn’t a strict rule though, and you could probably charter a boat to anywhere from anywhere here. If you’re heading to Kanawa, Seraya or Bidadari, go to their booking office along the main drag in Labuan Bajo and they’ll walk you to wherever the regular boat is going from at the right time. BNI have an international access ATM up near Treetops and there’s a larger bank of BNI ATMs further down the road out of town, heading right and facing away from the ocean. Many of the restaurants advertise free WiFi, though in our experience it doesn’t always work -- you’ll likely have to check around until you find something reliable. Drivers can be hired from the kiosk opposite (but on the same side of the road) as Gardena or try at any travel agent. Be prepared to bargain. See the transport section for contact details for specific individuals we have used. If you’re looking for specific info on Flores, NGO SwissContact has put out a series of three guidebooks, covering culture, trekking, and diving and snorkelling. It’s a shame they didn’t release them as a single guide, and while it’s now getting a touch out of date in parts -- though more so by missing places that have opened rather than listing places that have closed – they include some excellent information and are worth a read. The Belgian-born Gaelie and Flores native Heri Anu Due at Flores Remo Travel offer distinctive cultural and nature-oriented package tours of Flores and surroundings, including Komodo, Rinca, Kelimutu and points further afield. Everything is customisable -- contact them for details and scheduling. They’re a good choice for remote or custom adventures. 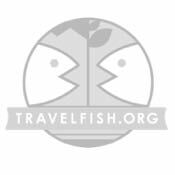 Use the above map to find specific destinations in and around Labuan Bajo which are listed on Travelfish. Bed icons indicate a guesthouse, hostel or hotel, the knife and fork is an eatery or bar and the four-way circular thingy marks sights, attractions and other points of interest. Click on any icon for a short pop-up and a direct link to the page for that spot. If you are in the area, use the teardrop icon near the top left to show your position on the map (you'll need to allow position sharing for this last feature to work).